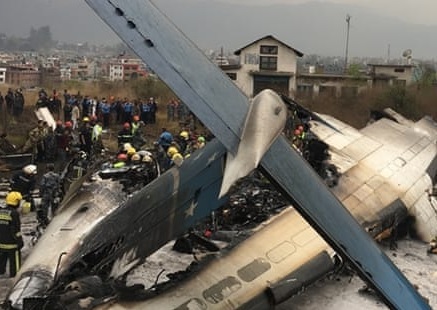 vc_row]The DHC-8 crashed on approach to Kathmandu Airport following confusion over the landing runway between pilots and the tower controller. 51 of 71 on board did not survive. 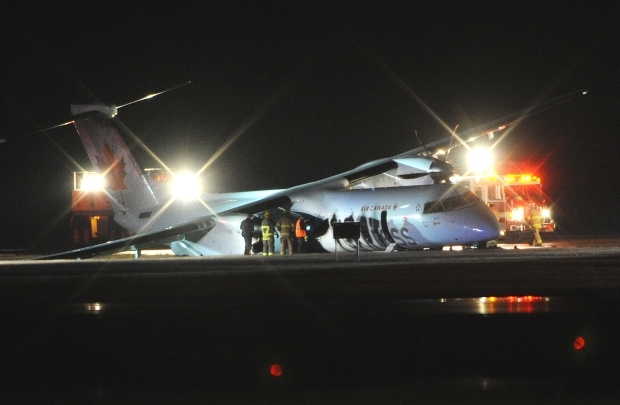 The aircraft suffered damage when its right maingear gave way on diverted landing at Edmonton following a blown tire after take-off from Calgary. 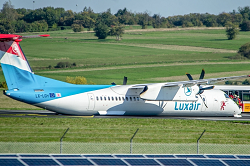 The aircraft was significantly damaged in a take-off accident at Saarbruecken Airport, Germany. 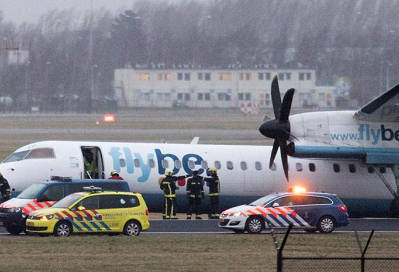 The Dash 8 ran off the runway where its left maingear collapsed before it came to a stop on soft ground. 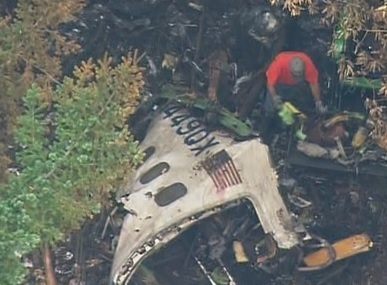 There were no injuries among the 78 persons on board. After landing runway 23 at temperatures around freezing level, the pilots experienced a loss of directional control when they turned right into taxiway „Golf“ on the way to the southern apron.